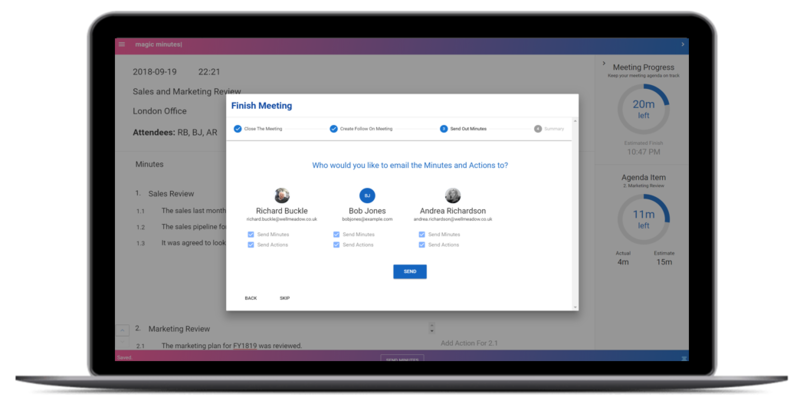 Magic Minutes will automatically send out the minutes and actions to the attendees at the end of a meeting. This helps ensure that the minutes are circulated promptly. The meeting and actions are also available to view in your dashboard. We understand that not everyone wants to publish the meeting straight away. This is gives you the option to review the minutes before publishing. 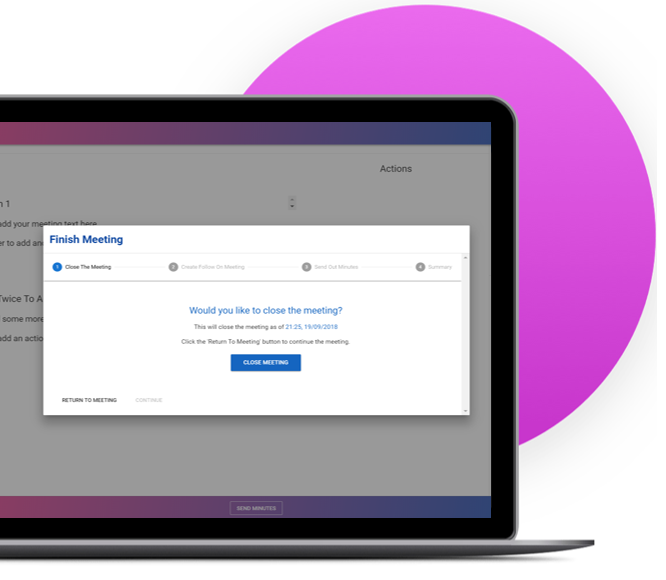 To send minutes and actions to attendees when the meeting is finished, click on the “Send Minutes” button and a pop-up window will appear. You will be given the option of creating a follow on meeting, where you can enter the date and time and click submit, or you can skip this step by pressing the skip button on the bottom left. You will then be shown all the attendees and given the option to customise what they receive by deselecting the blue tickboxes underneath their name. When you’re happy, simply click “Send”. If you don’t want to send out any copies then press the skip button on the bottom left. 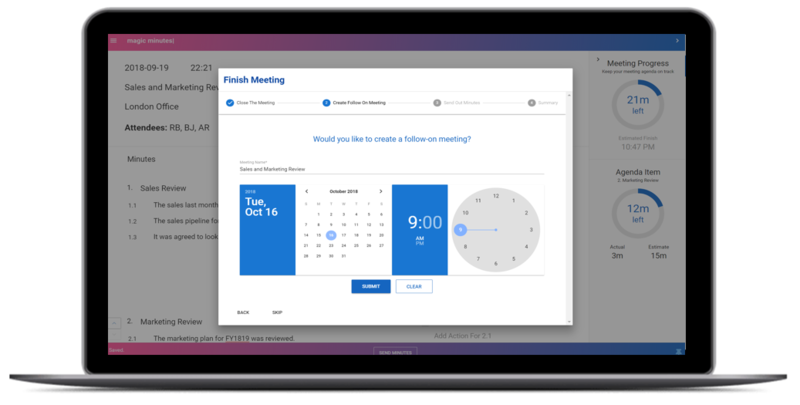 Now that your meeting is closed you may return to the dashboard where you can view all your meetings and actions. Why not give the software a try? Register now for our free version of Magic Minutes and see for yourself how useful it is.